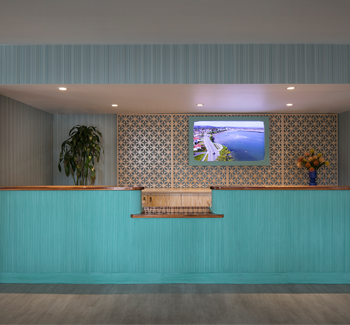 Santa Cruz’s only beachfront hotel, the four-star Dream Inn offers something for everyone. Monterey Bay sunsets from your private balcony, surfing and paddle-boarding on world-famous Cowell Beach, easy access to historic Santa Cruz Beach Boardwalk and University of California Santa Cruz. Our boutique hotel features 165 air-conditioned guest rooms with thoughtful amenities like iPod docking stations and refrigerators, free WiFi and rainfall showers. Enjoy in-room dining or sip a hot coffee from the Verve Coffee Cart on your private balcony. Outside, firepits and an outdoor heated pool with hot tub beckon guests to wind down the day with an ocean breeze. If you’re planning a meeting or wedding, the Dream Inn is a dream destination for up to 200 guests. We’ve got three exceptional event spaces with ocean views, plus in-house catering and banquet services and top-notch event planners.